Unicaf University encourages young people to follow a balanced and healthy lifestyle, to develop their minds and their bodies equally, and supports noble competition in sports, as well as in education, career and life. 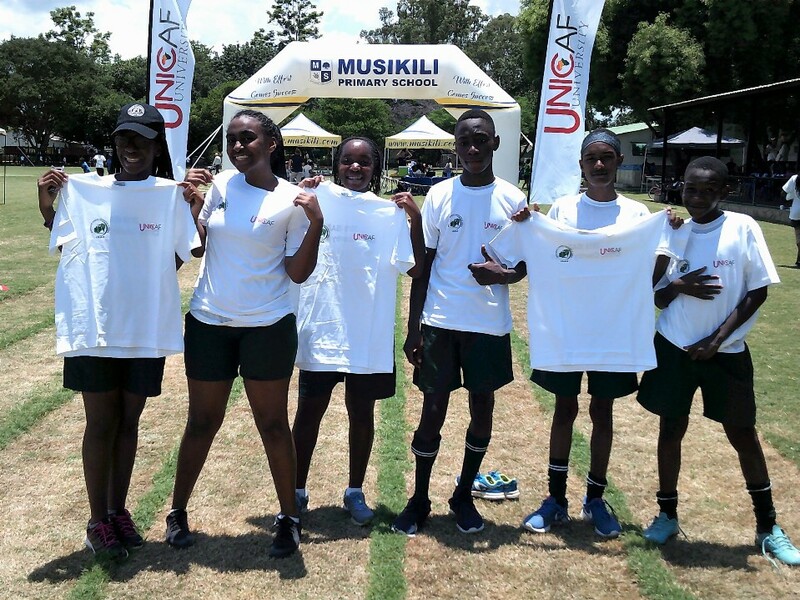 The Inter-School Cross Country Games, an annual sports event attended by students from primary and secondary schools across Zambia, was sponsored this year by Unicaf University. The UUZ Marketing team attending the event offered branded t-shirts to participating young athletes, and also provided information to enquiring students and parents about scholarships available and the range of degree programmes on offer. The Inter-School Cross Country Games were held on February 2 2019, at the Musikili Primary School in Mazabuka. Over 500 students from different primary and secondary schools in Zambia participated in the Games, running with their peers in the same age category, competing for the top position.